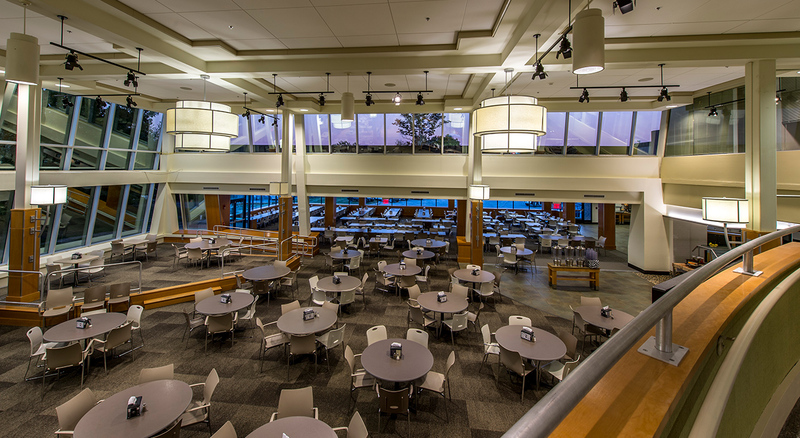 BOND was engaged to build-out 33,000 SF of high-performance, MEP-heavy dining space within a fast-track twelve week schedule. 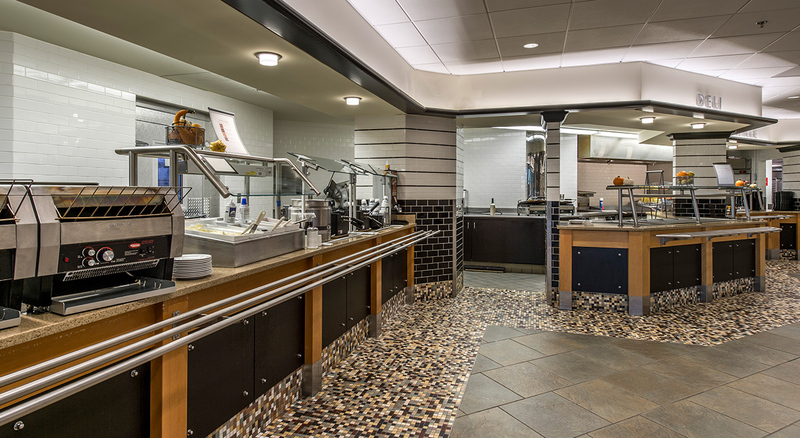 Working closely with Prellwitz Chilinski Associates, the BOND team completely transformed and re-imagined the dining experience for Bryant Students. 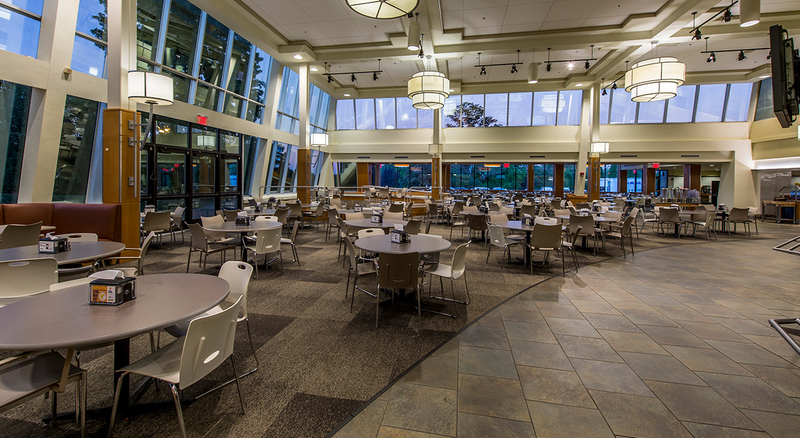 The new Salmanson Dining Hall provides the campus with expanded meal choices and space to collaborate, socialize, and relax. 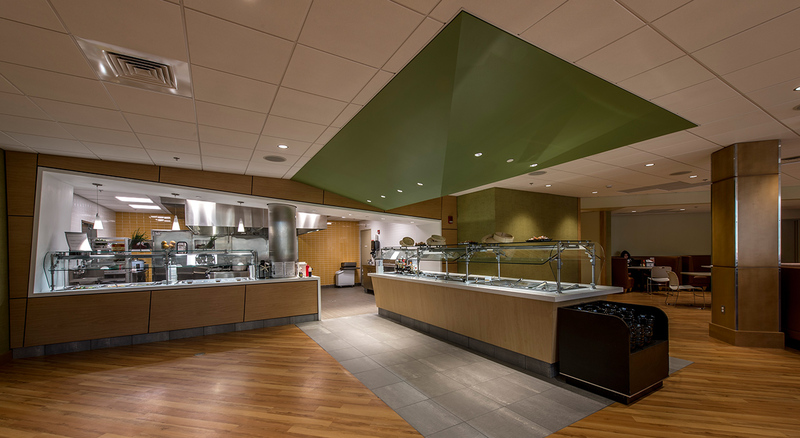 The renovation was necessary to expand the cooler-freezer and food storage capacity, improve the operational flow of the receiving, storage, prep and production kitchen areas and to add flexible server stations, allowing the school to expand its culinary offerings. Early procurement of long lead items, including – most notably – the Food Service Equipment that had a 14-week lead time. 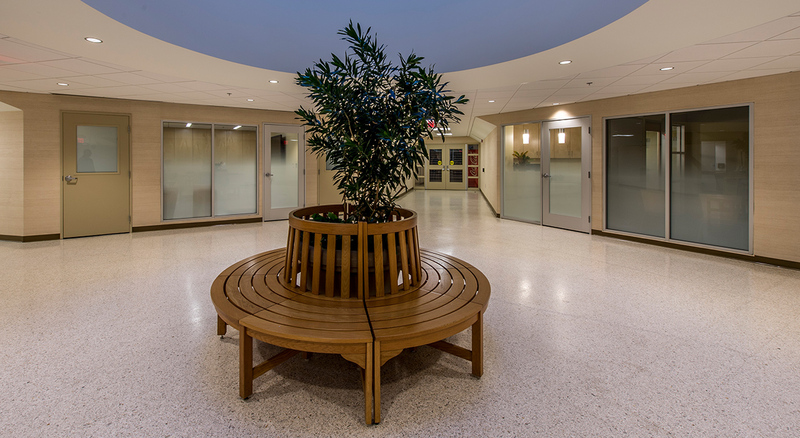 HVAC equipment, millwork, glass entrances, electrical panels and carpet tiles were also long lead items.